FORT WORTH, Texas (July 7, 2016) – LANTAC™ USA LLC, Fort Worth TX., will make the first ever shipment of 50 of the company’s new LA-R15 14.5” Intermediate Raven™ rifles available exclusively at Cabela’s for a limited time beginning Thursday, July 7th. These highly anticipated sought after, state-of-the-art rifles will be offered through Cabela’s before they hit the market anywhere else in the world. LanTac’s LA-R15 14.5” Intermediate Raven is the first ever AR modern sporting rifle with the company’s patent-pending Adjustable Buffer System and proprietary buffer spring. 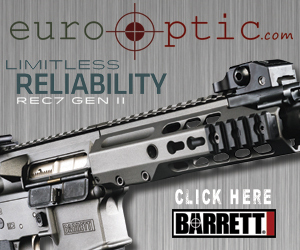 Each rifle is comprised of premium parts and accessories, including hand-lapped, stainless steel barrels; billet 7075-T6 certified lower and upper receivers with Type III, Class II black anodizing; and LanTac’s UCT EXO NiB coated Enhanced Bolt Carrier Group (E-BCG™) with forward porting, flared tail carrier and Carpenter 158 bolts. Additional features like the state-of-the-art, world-leading, pinned and welded LanTac DGN556B™ Dragon™ Muzzle Brake; a MPI tested bolt; and LanTac Curved Bow, CMC Triggers 3.5-lb, E-CT1™ single-stage drop-in trigger system, allow the LA-R15 14.5” Intermediate Raven to offer zero muzzle rise and a massive reduction in felt recoil, in a fast, flat-shooting and accurate rifle. The LanTac LA-R15 14.5” Intermediate Raven rifle is manufactured to the highest quality standards and assembled by a skilled team of rifle builders. Each rifle is shot tested at LanTac’s facility, treated with FrogLube™ and comes with a lifetime warranty against defects. Visit www.lantac-usa.com for more information. Cabela’s Incorporated is a leading specialty omni-channel retailer of hunting, fishing, camping, shooting sports and related outdoor merchandise and has long been recognized as the World’s Foremost Outfitter. Visit the LanTac page on Cabela’s website, or www.cabelas.com, for more information about Cabela’s exclusive offering of the new LanTac LA-R15 14.5” Intermediate Raven rifle. I had the chance to check out Serial Number #1 of the new LanTac-USA RAVEN AR-15 today at Media Day. The RAVEN will be available in two different barrel variations. The RAVEN features either a 14.5″ Intermediate Proof Research barrel, which is a joint collaboration with LanTac or a LanTac 416 Stainless Steel barrel, the SPADA Rail, a CMC/LanTac Curved Trigger, the LanTac Enhanced Bolt Carrier Group and an AXTS Ambidextrous Safety and Raptor Charging Handle. The cost with the Proof Research Barrel is under $4000 and with the 416 Stainless Barrel is approximately $2995.